Our Birthday Mailer has proven to be one of the best redeeming mail pieces in the restaurant industry. Each envelope is personalized to their respective recipient, and not “current resident”. The gift certificate they receive is 100% trackable, by a unique tracking code that our tracking portal identifies with. Our proprietary handwritten envelope and crooked stamp is what makes our Birthday Mailer so amazing. IT GETS OPENED…PERIOD. Unlike other junk mail, the list we mail to is targeted to a specific demographic modeled around your best customers. Tracking is very important to us, and our clients. By tracking we’re able to gather data that allows us to redeploy new campaigns, creating repeat business. The tracking portal calculates return on investment and other analytics for every deployed campaign. 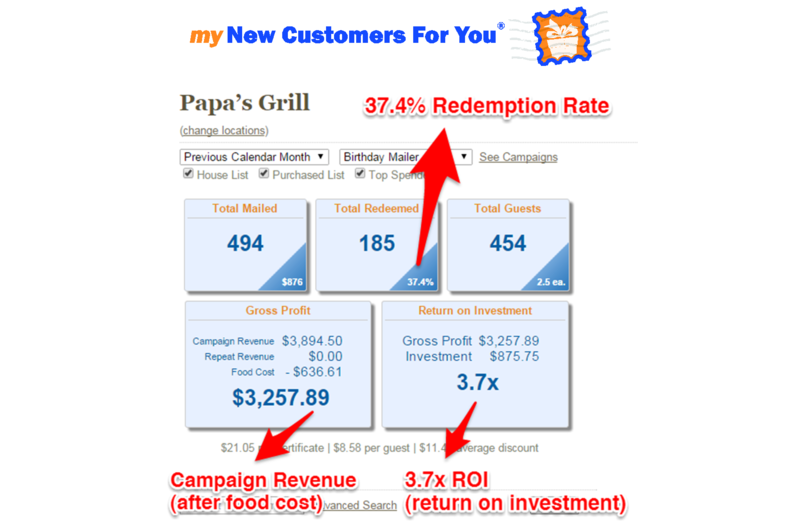 Typical ROI is 3:1 or 4:1 per month. Clients describe their amazing redemption rates. See what other’s found after they tried us. Quality is very important to us, but don’t take our word for it. 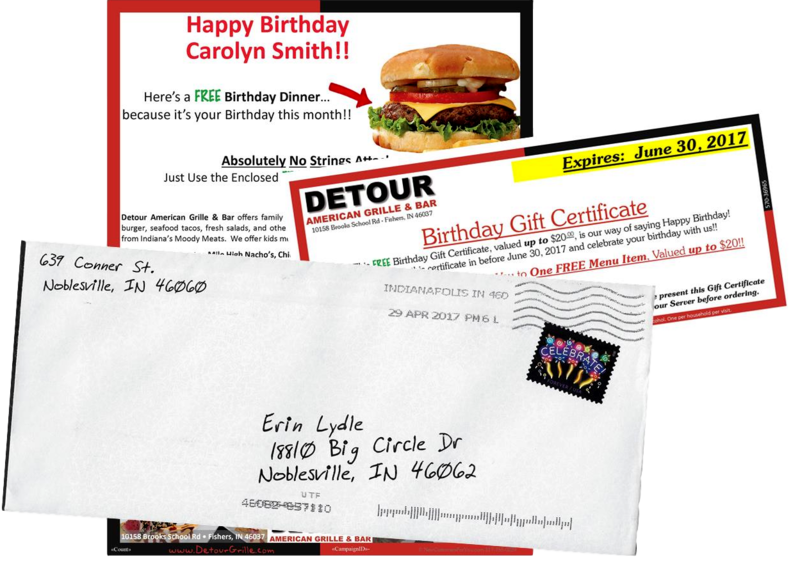 Getting a response rate greater than 1% when using direct mail. Typical direct mail programs include mass mailing a neighborhood… the spray and pray approach. Direct Mail Reinvented. Our mailers have achieved upwards of 36%, with a company average of 28%. Our mailer gets into the house onto the granite countertop vs the garage trash can where the mail was sorted.